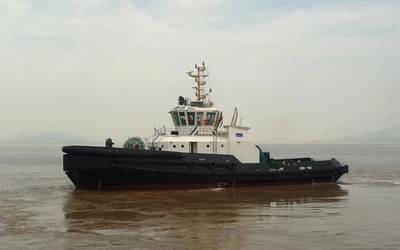 On October 21, Robert Allan Ltd. was awarded a contract by Ningbo Port Company Ltd. in China for a RAstar 4200-DF Class dual-fuel (LNG-MDO) tug. The award of this contract builds on a history of collaboration between the two companies on several series of tug designs, dating back to 2004, and includes multiple series of 32- to 39-meter-long tugs (4,800 to 7,200 horsepower), including the recent Yong Gang Tuo 31. The new RAstar 4200-DF tug will be powered by a pair Niigata 8L28AHX-DF dual-fuel engines, each driving a Rolls-Royce US 255 CP Z-drive, and delivering a bollard pull of close to 80 metric tons. 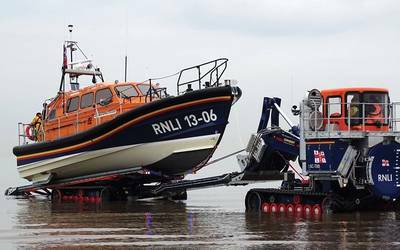 The tug will have an LNG capacity of 50 to 60 cubic meters, and will be fully classed as a dual-fuel tug with China Classification Society (CCS). Robert Allan Ltd. will also assist the Port with the construction contract tendering process.